Below you find a list with contact details of all infertility counseling organizations and individuals proving infertility counseling in their country. The list is in alphabetical order. Feel free to contact the organizations or individuals if you are seeking information on infertility counseling in their country. In Argentina, there are psychologists with different theoretical frameworks, some have a background in psychoanalysis, some in behaviorism, cognitivism and other psychological currents. In general, patients are referred for psychological consultation by specialists. There are psychologists who work in medical centers and others who work in private practice. The Argentine Center of Psychology and Reproduction (CAPSIR) is a team that assist people who want to be parents and have children. These include heterosexual couples, women without partners, two women, two men, and it includes options such as surrogacy and adoption. We publish children’s books to explain the procreative diversity outreach on these issues to the community and we present papers at national and international conferences. Silvia Jadur is also the coordinator of Psychology Chapter in the Argentina Society for Reproductive Medicine. In order to carry out these tasks we work closely with the patients’ organisations, reproductive medical centres and academics to assist in the facilitation and promotion of readily available psychological counselling, psychosocial interventions and care, and psycho-education in infertility. The psychosocial services are provided by the Association’s network of counsellors in big towns and cities across the country. Proceeding from the need of specialist training in the field, the Reproductive Psychology course was founded in two master programs at Sofia University in 2014 by Dr. Vanya Savova. Since then the Bulgarian Association of Reproductive Psychology supports the development of specialists, enhances their professional qualification and forms the local criteria for evaluation of those skilled in the field of infertility counselling, which leads to our aim to develop a European-wide recognized accreditation system. Currently the website (with English version) is under construction. Encourage counsellors working in the field to become members of CFAS. The Counselling Practice Guidelines Committee was established in January 2008 to fulfill the mandate of developing standards of practice for Canadian counsellors. Committee members included Susan Bermingham MPs, Judith Daniluk PhD, Christopher Newton PhD, Janet Takefman PhD, and Samantha Yee MSW. Contributions by Sherry Dale MSW, Jean Haase MSW from Assisted Human Reproduction Canada, and Valerie Wilkie RN of the Nursing Special Interest Group are acknowledged. At present in Canada, there is no complete agreement among those in the field of Assisted Human Reproduction (AHR) concerning the minimum qualifications necessary to provide appropriate AHR counselling services. The Assisted Human Reproduction Counselling Guidelines are judged to reflect best practice and were developed to ensure optimum care for individuals considering AHR interventions. These guidelines are relevant for all professionals who provide AHR counselling, although different levels of training and experience might be necessary for different counselling interventions (e.g. third party reproduction or the administration of psychological tests). n Chile, the number of reproductive medicine centers has grown steadily over the last 25 years. One of the first and largest is a public program providing ART to couples of low and middle income who would otherwise have virtually no possibility to become biological parents. This clinical/academic program is supported by the Ministry of Health and is conducted at the University of Chile (IDIMI). This center pioneered locally and in Latin America the implementation of psychological assistance as an integral part of reproductive treatments. At present, most of the ART centers include a psychologist as part of their clinical teams. The Special Interest Group in Psychology was established in March 2014 within the Chilean Society of Reproductive Medicine. Members are: four psychologists in private ART centers, one in the above-mentioned university-based ART center, and one representative of the national patients organization. We are currently in the process of exchanging clinical expertise and developing a guide of clinical orientations in infertility counselling. Address: Department of Social Work and Social Administration, The University of Hong Kong, Pokfulam, Hong Kong. Unlikely other countries (e.g. Canada, Australia, UK) where counseling for people undergoing ARTs are mandatory by legislation, infertility counseling services in Hong Kong are mostly provided on needs basis. Since 2001, the Department of Social Work and Social Administration and the Department of Obstetrics and Gynecology of The University of Hong Kong introduced psychosocial support services to support infertile couples who will undergo or have undergone assisted reproduction technologies. Since 2009, as commissioned by the Hong Kong Society for Reproductive Medicine, our team has been organizing the Certificate Course in Infertility Counseling in Hong Kong on annual basis, which aim to equip doctors, nurses, embryologists, social workers, psychologists, and allied health professionals specialized in reproductive medicine with the knowledge in medical, psychosocial, legal and ethical perspectives as well as their implications towards infertility and assisted reproduction technologies. You can contact Dr. Hana Konecna for any information on infertility counseling in the Czech Republic. She is a psychologist and has been working as an infertility counselor for many years. Currently, there is no organization in the Czech Republic. You can find more information on the ESHRE SIG here. The German Society for Fertility Counselling – BKiD – was founded in 2000 and has currently approx. 130 certified infertility counsellors plus additional members. It has issued accreditation and counseling guidelines, many of which have also been published in English. Although most information online is in German, there is an English section of the website here. Together with IICO, it has organized a post-graduate workshop 2000 (just prior to the IIFS conference in Munich) and again in 2014 (prior to the ESHRE conference in Munich). It has also published a counseling manual for professionals and in 2014, a guidance book for individuals and couples experiencing infertility was published in 2014. Nana Yaw Osei offers infertility counseling in Ghana. contact person: Hana Gilaie Guinor, Ph.D. 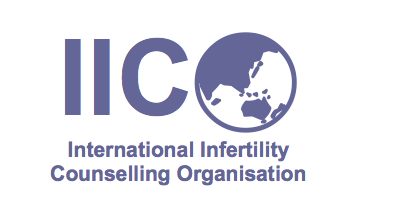 The Fertility Counseling Group of IFA was founded in February 2013. The group includes mental health professionals who work in public fertility clinics or in private practice and/or engage in research in the field of reproduction, currently 40 members in total. Organizing and running The Psychosocial Session at IFA’s Annual Conference. Holding an annual conference of the group. Holding peer-group for IVF mental health professionals. Running peer-group for Healthcare Services mental health professionals, working with patients at their initial stages of their infertility treatments. Offering a training program – Fertility Counseling Program for mental health professionals at The School of Social Work, Tel Aviv University. The first session (120 hours) was held in 2015-2016. Taking part in the Ministry of Health Committee dealing with medical and psychosocial services given to IVF patients. was attended by approx. 300 people (30 psychologists and 200 nurses, the rest are other medical professionals). we conducted a Pre-congress 4-hour workshop (Feb 22): attending 20 certified reproductive counselors. our new project: setting a working group for oncofertility for constructing mental health care system for cancer patients/survivors to preserve fertility. Ongoing agenda: Publishing our journal regarding reproductive psychology. Furthermore, in Japan, clinical psychology is changing as there is currently a bill before parliament regarding the national licensing of psychologist. The SASREG Psychology and Counselling Special Interest Group was formed on the 31 October 2015. The main task of the group is to set up goals involved of field of ART. This SIG group is part of SASREG –Southern African Society of Reproductive Medicine and Gynaecological Endoscopy (www.fertilitysa.org.za). Currently, there is not organization in Sweden. Swiss legislation clearly states that counselling should be offered before, during and after assisted reproductive technology (ART) treatments. The members of FertiForum (approximately 30) work in the domain of psychosocial counselling for infertility. About one third are medical doctors, one third are psychologists and one third are counsellors or social workers. FertiForum organizes two meetings per year. The programs generally include the presentation of clinical topics and recent research, followed by a discussion on clinical situations. Infertility counselling in Switzerland is carried out in very different ways and settings. Some units and centres have counsellors in their team, some have the gynaecologists provide the counselling, and some collaborate with independent external psychologists or counsellors. The reimbursement of counselling by the medical insurances varies in function of the counsellor’s profession and the patients’ coverage. Counsellors should have basic training in counselling, medicine or psychology and can then acquire specific skills by training with counsellors integrated in ART units and by following FertiForum and/or international training sessions. Continuous clinical supervision is highly recommended. A representative of FertiForum participates in the annual ESHRE IICO meeting. Ebru Alcolak Suatoglu is happy to be contacted by anybody interested in psychosocial issues of infertility in Turkey. Seeks to promote the highest standards of counselling for those considering or undergoing fertility investigations and treatment. Is administered by an elected Executive Committee and supporting regional groups, it is financed almost entirely through annual membership subscriptions. The Mental Health Professional Group (MHPG) is a multidisciplinary group that formed in 1985 with the full support of the American Society for Reproductive Medicine (ASRM). Its mission is to promote scientific understanding of the psychological, social, and emotional perspectives of infertility patients. We strive to be a source of patient and professional resources for mental health professionals interested in infertility counseling, including Third Party Reproduction and other issues related to reproductive mental health. The MHPG provides educational activities that offer continuing education credits at the annual ASRM conference as well as regional seminars. In addition, we also offer an online Mental Health Professional Certificate Course on Infertility Counseling through the ASRM eLearn platform to help educate mental health professionals and others about the psychological issues associated with infertility, infertility treatment, and other reproductive related concerns. The MHPG offers a professional mentoring program that is highly active and receives high ratings for usefulness by both mentors and mentees alike. The MHPG also engages members and encourages intelligent discourse, sharing of resources, and networking though an active email list-serve as well as a monthly teleconference meeting through our Connections Teleconference Group. Written and web-based resources for patients and professionals as well as a listing of educational seminars and recommendations for training are listed on our webpage. Additionally, the MHPG publishes a biannual newsletter and will have an active Facebook page in Fall 2016. Mental health professionals are playing an increasingly important role in reproductive medicine due to technological advances and recognition of the complex psychosocial issues faced by infertility patients. As a result, there is a growing need for the skills and services of trained infertility counselors to assist patients and staff. The MHPG has provided recommended guidelines to help determine the qualifications and training for mental health professionals working in reproductive medicine. These guidelines can be located here. MHPG members may be located in hospital-based fertility clinics, in universities, and in private practices. To locate an MHPG member please visit this site.